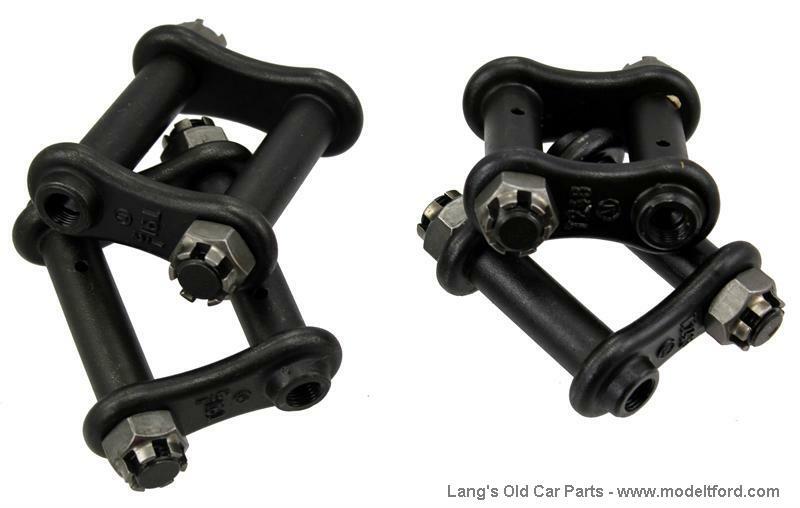 "Figure 8" shackles, duplicate of original, made in U.S.A. Set of four shackles (2 for the front and 2 for the rear springs). All these 1909-17 sets are duplicates of the original spring shackles, made in USA. Show Quality. Sets includes shackles, castle nuts and cotter pins. 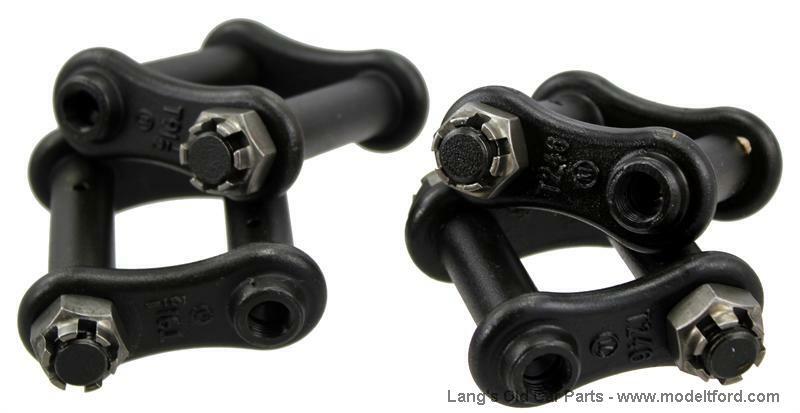 (Bushings and oilers sold separate, oilers part# 3817, front bushing Part# 3820 and rear bushings Part# 3844)).